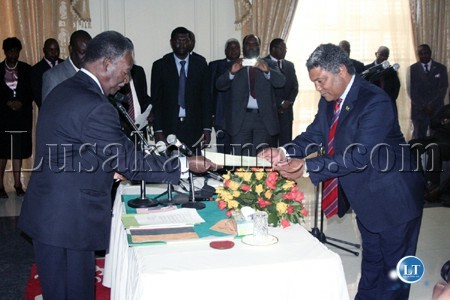 President Michael Sata receives an affidavit from the new Information Broadcasting and Tourism Minister Given Lubinda at the swearing-in ceremony at State House. 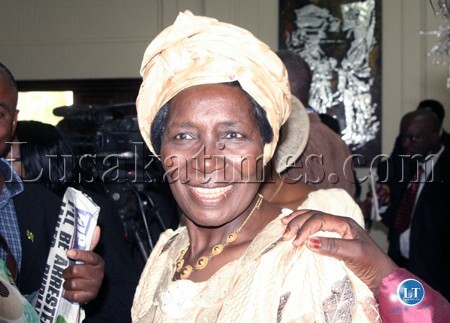 Newly appointed Minister of Chiefs and Traditional Affairs Inonge Wina celebrates her appointment at State House. 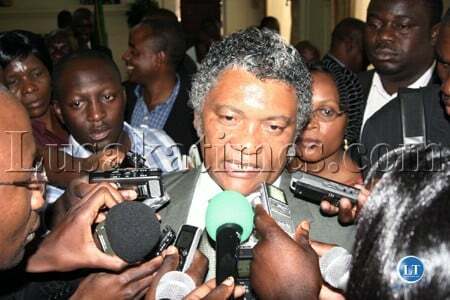 Newly appointed Minister of Information, Broadcasting and Tourism Given Lubinda is interviewed by journalists after the announcement of members of the new cabinet at State House in Lusaka. Newly appointed Transport, Works, Supply and Communications Minister Willie Nsanda is interviewed by journalists at State House. 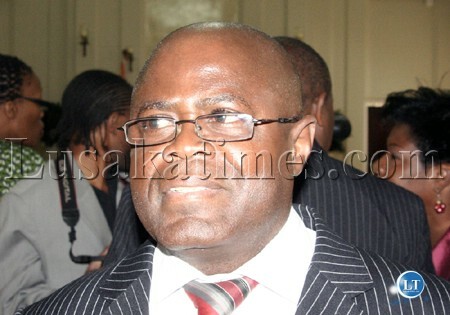 Newly appointed Labour, Sports, Youth and Gender Minister Fackson Shamenda arrives at State House. 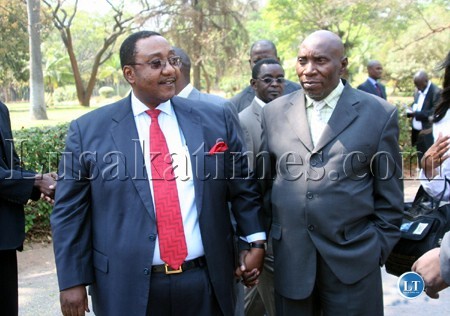 New appointed ministers Geoffrey Mwamba (left), for Defense and Kennedy Sakeni for Home Affairs walk hand-in-hand after the announcement of members of the new cabinet at State House. 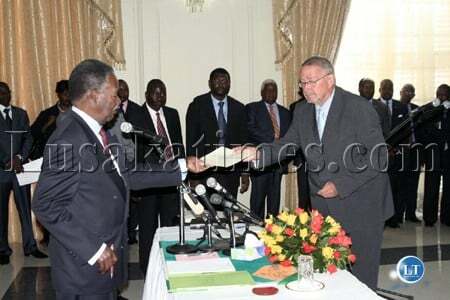 Nice pictures right there.Even though the average age of the cabinet is old i have no doubt that these guys will deliver.But wasup with ba Forrie Tembo in Pic 25 ? Balemoneka ukushipula already.Anyway still mwela onse…. it is donchi kubeba at work.Congrats ladies and gentlemen for those appointments. Congratulations to the new powerful Cabinet! Good Cabinet, a mixture of old and New! Let us give them chance and support to revamp the economy of Zambia. Also not forgetting to Lock RUPIAH, KUNDA, VERNON, WILLIAM AND Others, Just to mention a few. This will teach a lesson to those who would want to steal. The Zed Team, these guys look so humble hope the continue with that spirit. The should learn from RB and Team that pride comes before the fall. Yeah just lock up the RB, Dora, William etc precisely just for fun. We will appreciate. These guys MUST be found guilty whether they like it or not!! Too many old people …………….no…………. fellow countrymen and women ,this looks to be a good team but i have reservations on GBM as defence minister and Chishimba Kambwili as foreign Affairs. 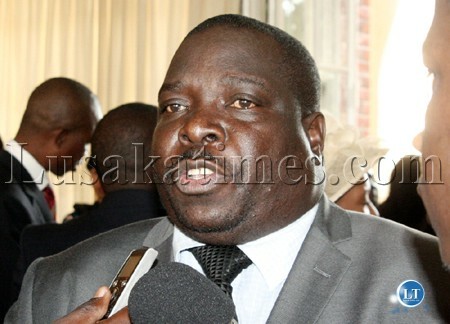 Kambwili has no diplomatic traits would have prefered Kabinga Pande….as for GBM he could have done better at Labour. 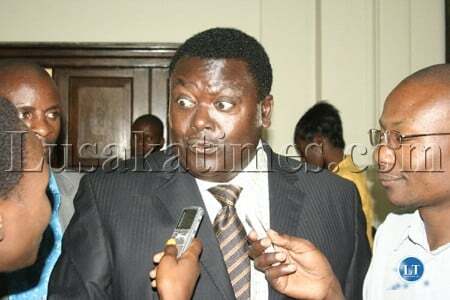 Prof Luo should work on the councils to implement some of the by laws that are dead. Such as the time for opening and closing of bars and bottle stores and proper selling points for alcohol. It will reduce on some of the lawlessness we are seeing on the streets. 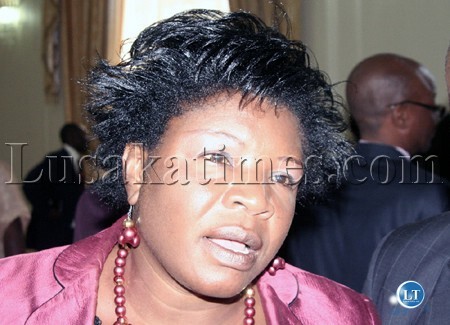 No alcohol sales at Comesa and other unauthorised outlets. We need sanity in this area. Let me real work and change begin. only concerned about GBM,defence is a serious ministry. Let the real work and change begin. only concerned about GBM,defence is a serious ministry. 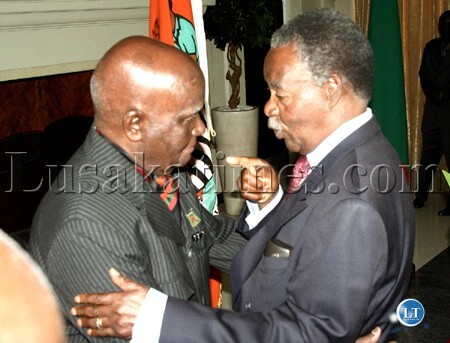 Hmmmm…………nkote zeka zeka.Viva old recycled politicians. 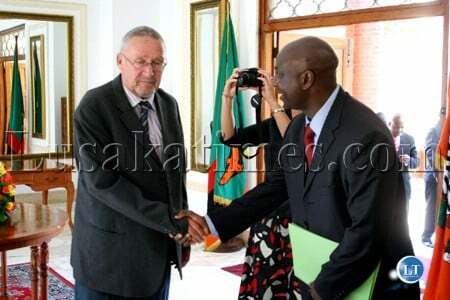 Enigma, Dont worry, this is a well thought through Cabinet, GBM has a soldier deputising him, Col. Panji Kaunda, he will help him run that Ministry properly. thank God all DCs are fired from job!!!! What a bunch of ugly faces – is ugliness a pre-requisite? 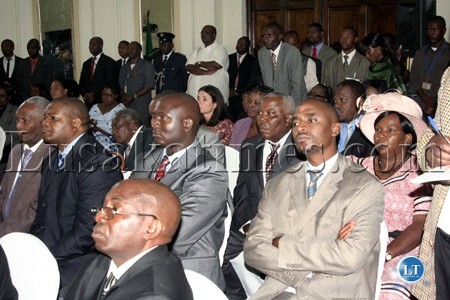 I have trying to look out for the newly appointed Minister of mines in the pictures above but I can’t spot him out…did he miss the swearing in or what? GRANDFINALE KABONDE FIRED.MD ZESCO ZWA.ALL DISTIRICT COMMISSIONERS PYA, ALL THE BOARD OF DIRECTORS FOR,ZESCO,NAPSA,AND ZRA PISHAD NO SECRETARY TO THE TREASURY AND MATHANI GETS BACK HIS FINANCE BANK..OOOOOOOOO GOD IS GREAT THATS MY MAN OF ACTION H.E CHILUFYA AT WORK.NEXT MR PRESIDENT FIRE ALL THE SERVISE MEN THEY WERE INTIMIDATING THEIR JUNIORS NOT TO VOTE FOR YOU. #17 Kekekeke. Your funny(as the Americans say)! 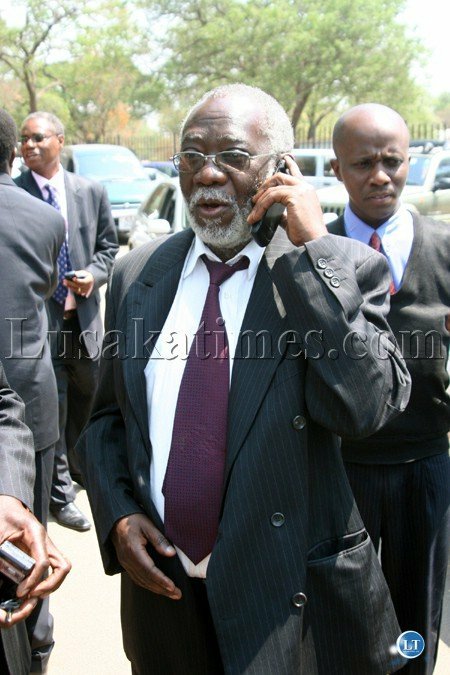 No doubt a significant change in the history of Zambian politics. However, people should be more concerned about the long term than the short term. MCS was in previous regimes and while he “worked” nothing he left was sustainable. As soon as he left his posts things disintegrated back to what they were. A sucessful leader leaves systems that will work even when they have left. Refer to the Orange Revolution of Ukraine in 2004 and the Egyptian revolution…regimes that come in on a hype soon find that all they used to criticize as opposition members isn’t as easy to sort out as they initially thought….this government needs to bury its head in work and stop playing for the crowd. Showmanship is for campaigns…yambani kusebenza manje!! By the end of 90 days Zambia will have been cleansed and ready to wear amatebela ya nyu and focused on the job of transforming Zambia into a first world country. Good to see some of the faces behind the names we read. I wish them all success and hope they deliver 100% in their respective ministries. I may not be in Zambia right now but have a strong feeling that people will start to things hapenning soon. Mr. Sata is doer. Action is what Zambia (and the entire African continent) needs. So much talking has already been done. 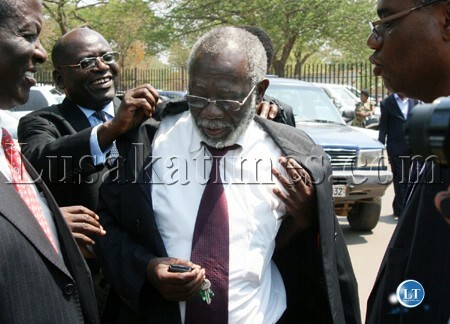 hahahahahaha @ 29 the man is too old, will he be able to deliver development to Zambia when he cant put on well his jacket? What a disgrace,,,,,, Old people will not do any good to our economy. Regional, Tribal and Sexist cabinet under the Spitting King Cobra. It will go pear shaped very soon. No amount of ‘bane twikatena’ will save these criminals. There will be no live TV coverage when the Zambian Revolution sweeps away this Tribal Dictatorship! 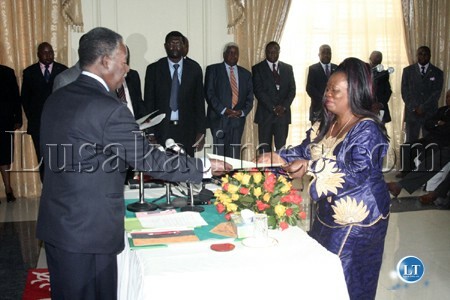 “You said that I was not Presidential material, now I will show you that I am better than you,” Sata tells KK. “I can’t remember ever saying that. 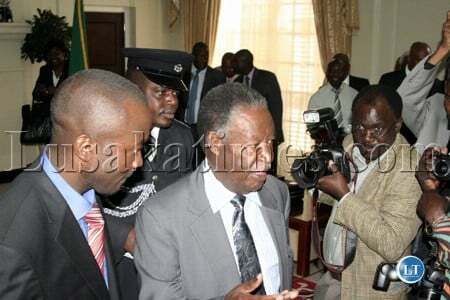 And what are you doing in my house,” KK tells Sata. 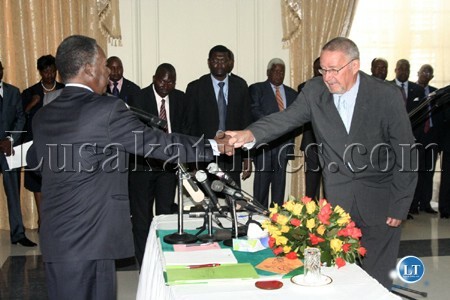 President Sata and VP Dr Guy Scott have shaken hands very differently from the way all the others are shaking hands. Hey, what’s going on? There is a secret code here. 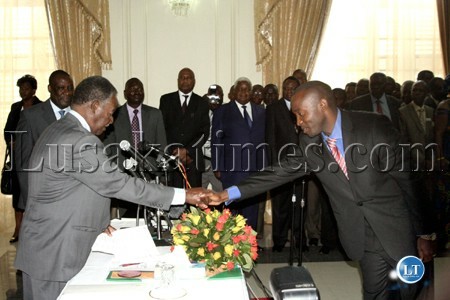 And the same hand shake for George Chellah! PF has no consideration for the youth. No youth has been considered for any positions in cabinet. They should fight very hard to get rid of PF despite having supported them. Iam now regretting having supported them. 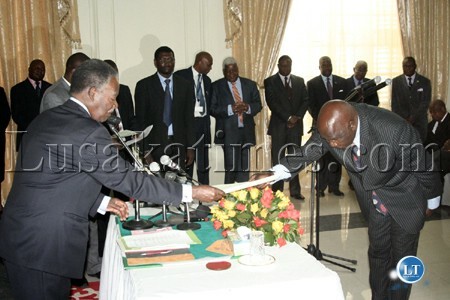 Ba Panji, you can even see that he is desperate indeed, he even had to kneel for a job of a deputy minister of defense, shame. Zambia will never have credible, civil servants to serve the people because all these are just bootlickers and tax payers consumers who cannot do anything for themselves apart of being government dependants. 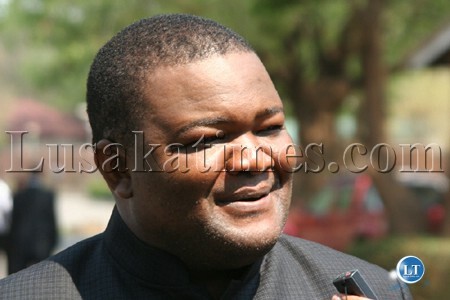 Mukata the defecter, shame on you, you defended Lafarge’s pollution in Chilanga as their lawyer, what do you think you can do in PF, you are just a job seeker, and you are the same people likey to corrupt PF as a clean party. Mukata is really dangerous, pf watch this man. What is the average age of the new cabinet. The you should also get involved in politics. No wonder the country is outdated. Pics 29,30,31- Ironic and funny that the minister for youth and sports is an old man while the minister for defence is a fat guy. 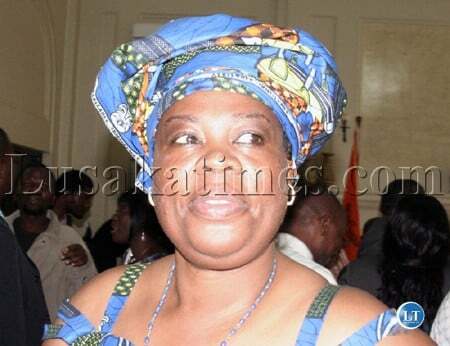 This will make the fat defence chiefs we have feel its okay for them to continue to be fat.How can fat people defend the country when you have to be very fit to run,crawl,climb and throw grenades like a professional in defence of mother zambia. What a tribal cabinet? 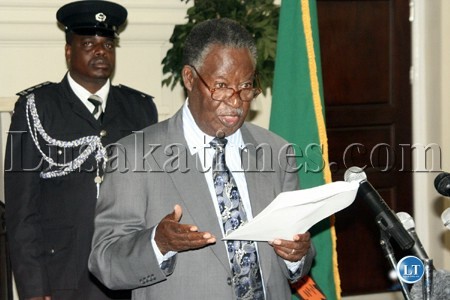 One man show and no consultations on a one Zambia one nation principle. 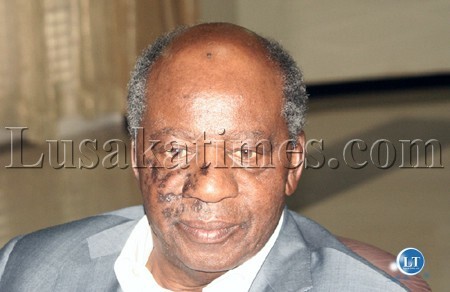 Zambia may be headed for destruction if this man is not checked. 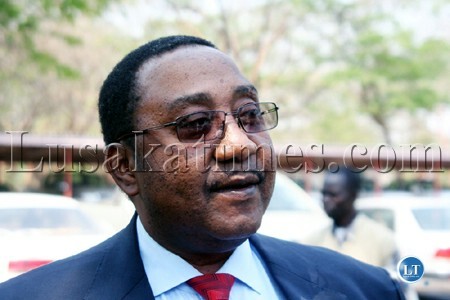 GBM, how are you going to inspire your soldiers? We need a fitness minister to help keep our cabinet in good shape. A lot leaves to be desired. A new CEO comes in and fires his Managing Directors as he wants to please the investors and make a name for himself. If he is experienced in the business, he will just be successful. Otherwise, he will be making a big mistake as he will think he can do things he used to do at his previous organisation. And that if he has experience. In all new changes, this CEO will need to hold meetings and reason with his subordinates. But if he is just making decisions out of frustration, then I call that a lack of emotional intelligence. Mind, it’s not the question of strategy that gets us into trouble; it’s a question of emotions. And to all those accusing others of being tribalists, this is the 21st century and be civilised. I call myself Zambian and am very proud to be one. 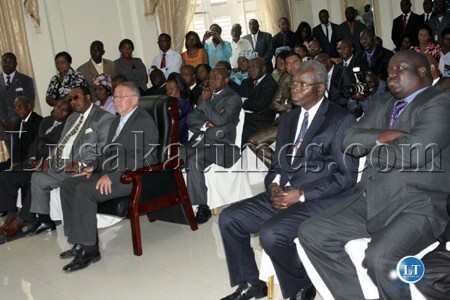 But am saddened to notice comments from my fellow Zambians demeaning other tribes like the Tonga. Surely, what’s the point? 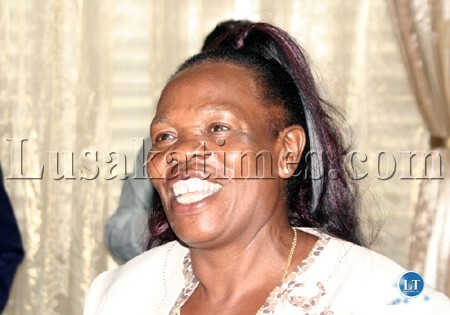 Who is the majority in the new cabinet? One Zambia one nation! Don’t create problems out of nothing. 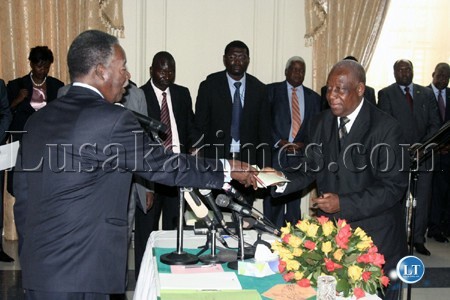 Your PF has won and Sata is president. Period! Now is the time to work together as brothers and sisters for our country, and not talk as though you have a bedroom at statehouse. Get a life! 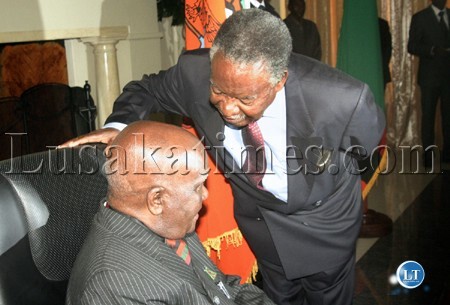 will be determined by this plan.Mr Sata has 5 years in office as we all know. Only Minister from number 17 to number 28 are young, vibrant,and seem to be strong enough to develop Zambia. 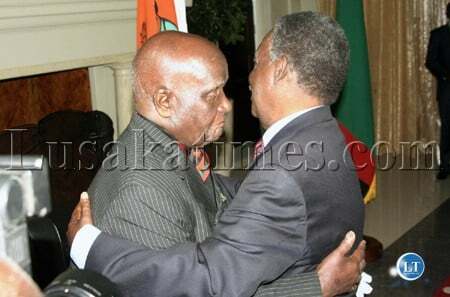 The rest, including Sata himself are very old that development will remain a mere pipedream in Zambia. 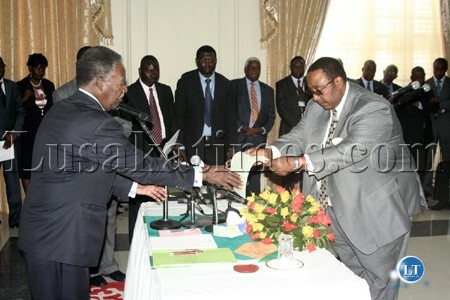 HH was the best.We made a very big mistake by apointing Sata as president.Watch and see. Next time please vote for HH. PROPER CABINET, WORK EXTRA HAD PEOPLE. Surprised to note that the new president has already run out of ideas. The only thing he is talking about is corruption! 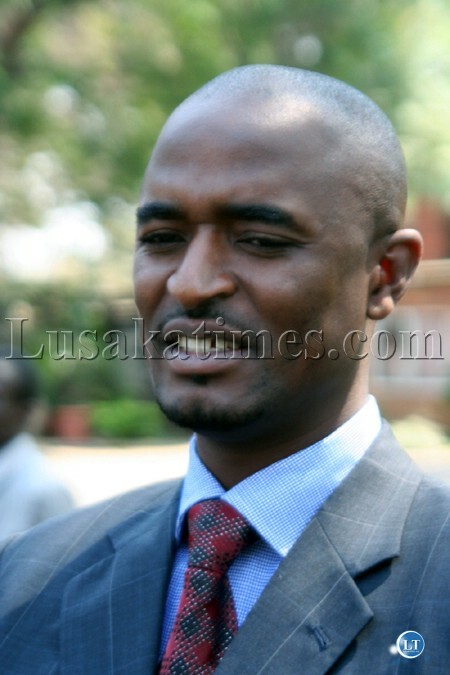 What is his opinion about economic development, the Barotseland issue and the Chinese. He campaigned on a popular message that he will get rid of the Chinese. KK seems to have it easy. It is a proper cabinet so far..but some chaps,thanks that you got rid of them,they think only for themselves,thank you to the advisers.i expected that, and i am not surprised..